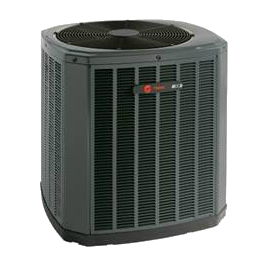 Pair Trane’s air conditioners and heat pumps for maximum comfort & efficiency! Trane’s state-of-the-art XV20 and XV18 TruComfort™ systems use ComfortLink™ II communicating technology to achieve optimum comfort and efficiency! Ductless HVAC systems provide comfortable, affordable heating and cooling even in spaces that don’t have room for the extensive network of ductwork that central HVAC require. Unlike central units that heat and cool an entire home, mini-split ductless systems are wall-mounted on a room by room basis. Each room’s unit can be controlled individually using a remote control, which allows for ideal comfort control. At Pullen, we carry ductless models by Mitsubishi, Trane and by Samsung.